Thanks DEAL NINJA for contacting us with this HOT TIP! The Milwaukee M18 Fuel Brushless Hammer Drill is a popular drill for electric conversion kits like the Clam Drill Plate and K-Drill. Grab one and get some odd-jobs around the house done so when the cold weather rolls in you have more time to spend on the ice. 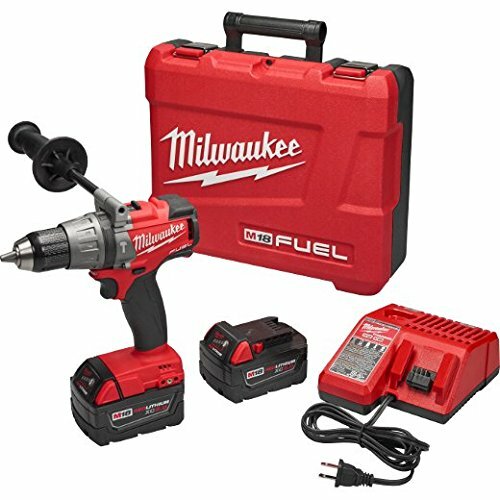 This Milwaukee M18 Fuel Kit sells elsewhere for $299.99 or more! Posted on November 2, 2017 by IFDPosted in Accessories, All Deals, AugersTagged 2704, 2704-22, Amazon, drill for hand auger, electric auger conversion, fuel, hammer drill driver, hand auger drill, M18, Milwaukee.